Re-create the magic of early auto touring along this 40-mile scenic route connecting the towns of Golden, Morrison, and Evergreen. The route crosses Lookout Mountain via the 5-mile Lariat Trail, a spectacular feat of engineering that challenges thrill-seeking drivers and bikers alike. 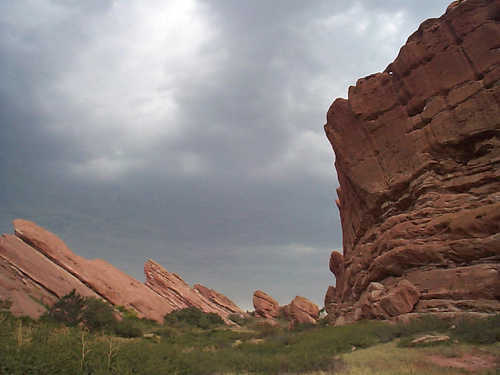 Dozens of open space parks, museums, and other heritage sites welcome visitors exploring the foothills, canyons, and meadows along the Loop. Wildlife, mountain forests, historic dinosaur discoveries, art galleries, historic buildings and settlements, and much more awaits you on the byway. Lariat Loop takes you through enchanting historic districts and into the rugged terrain of the Wild West. Drink in the clear skies, dramatic mountain scenes, and patchwork valleys where Buffalo Bill Cody roamed.